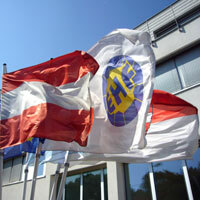 The EHF Arbitration Tribunal has dealt with the transfer case of Szandra Zácsik. The EHF Arbitration Tribunal has received an appeal in a transfer case involving the player Szandra Zácsik/HUN. Based on the statements of all parties, the documents provided to the Tribunal and the EHF/IHF applicable regulations, the decision of the EHF body of 1st instance has been rescinded and no punishment was given to the player. The EHF Arbitration Tribunal found that signing the contract with Krim Ljubljana/SLO was legal and the player did not violate transfer regulations as this contract respected the contractual obligations of the player towards Budapest Bank-FTC. Accordingly, the handballer is allowed to take part in the Women’s 19 European Championship.